Reviewed on: PS4. Gear supplied by manufacturer. For those that haven’t augmented their controllers before, this article is about to open up a whole new world for you. It was only a few months ago that a friend bought me some Kontrolfreek grips for my PS4 controller, prior to that customising was something I’d never really thought about, but now it has become a bit of a hobby. Finding the perfect set of thumbsticks to compliment play style and game genre is a fair task, but one that isn’t boring, no matter how much people roll their eyes when I tell them about it. So here we go, one of LoadScreen’s first gear reviews is focusing on Kontrolfreek’s latest product, the FPS Freek Call of Duty S.C.A.R. thumbsticks. The set I got my hands on (thumbs on?) were for PS4. The skulls make your reaction time 110 percent faster (CITATION NEEDED). The S.C.A.R. (Special Combat Air Recon) thumbsticks are a tie in with the upcoming/dreaded Call of Duty: Infinite Warfare, but don’t let that turn you off of them, because they might be a silver lining, and other such cliche terms, for the game with the second highest disliked video in YouTube history. The SC.A.R.’s have a fair bit of height to them, raising the stock height of your controller by 10.4mm, roughly the same as Kontrolfreek’s Snipr sticks. This can be off putting at first, but once you get used to the difference it allows for plenty more movement with less motion. According to Kontrolfreek the added height increases movement by up to 136 percent, which is something that I have no idea how they test, but sounds impressive. 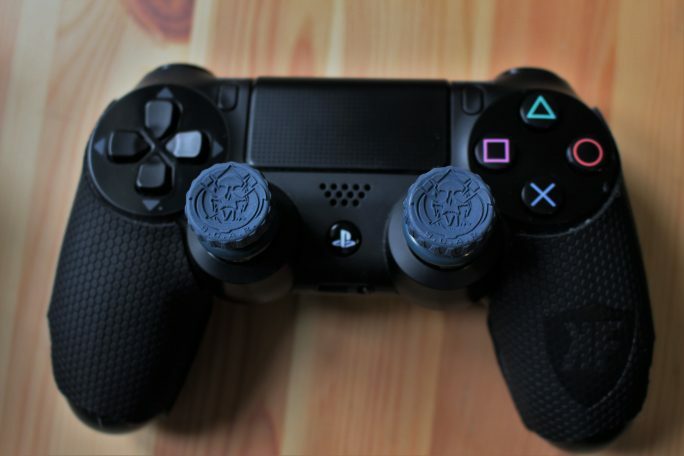 The tops are etched with a skull decal that not only looks pretty nifty, but provides you with plenty of grip. The top is concave, allowing your thumbs to sit comfortably without any slippage. The rims are also etched so you can easily use the side of your thumb to move and aim, which is what you would ideally want to be doing during fast paced action. During my play time with the S.C.A.R.s I found they particularly suited sniping, as the movement can be pretty severe in the taller thumbsticks at close range. With time you could probably adapt and get used to them in all kinds of situations, but considering my usual configuration this didn’t really suit my play style or muscle memory. Those wanting to mod their mods might like mixing up thumbsticks to get something that suits them best. I found that using a Snipr thumbstick on the right and a S.C.A.R. on the left worked wonders for me. The Snipr is convex meaning your thumb doesn’t get locked into place when on top, so having that on the right essentially means you can aim with a rolling motion. The fixed grip on the left from the S.C.A.R. gives you more control for movement, as your thumb is cradled by the stick. This pairing is something I could see myself using a lot in the future. 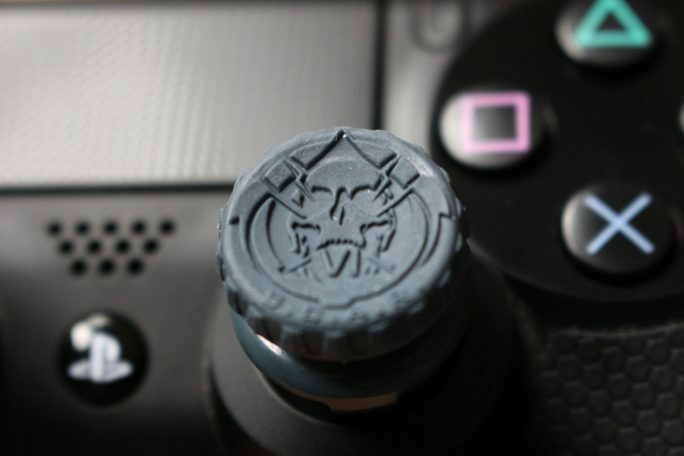 Overall the KontrolFreek S.C.A.R.s are a great little piece of gear that provide quite a bit of bang for your buck, I’d recommend them to fans of sniping and skulls alike. Mod Charlie on Twitter @clbraith and don’t forget to follow @load_screen and like us on Facebook.